Colourful star trails arc through the night in this wide-angle mountain and skyscape. 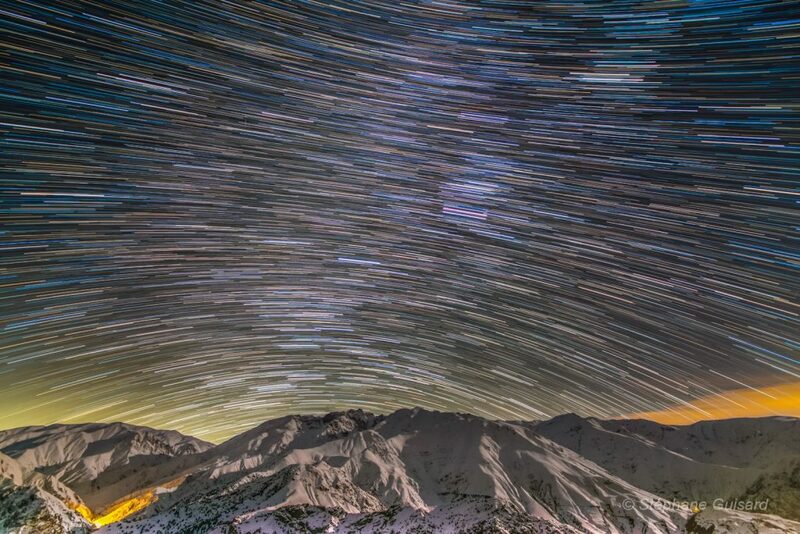 From a rotating planet, the digitally added consecutive exposures were made with a camera fixed to a tripod and looking south, over northern Iran’s Alborz Mountain range. The stars trace concentric arcs around the planet’s south celestial pole, below the scene’s rugged horizon. Combined, the many short exposures also bring out the pretty star colours. Bluish trails are from stars hotter than our Sun, while yellowish trails are from cooler stars. Near the center, the remarkably pinkish trail was traced by the star-forming Orion Nebula. For more information, check out APOD!